← Brexit co to oznacza dla obywateli Unii Europejskiej mieszkających w Wielkiej Brytanii? When to choose a 5-year route as a partner and when the 10-year route should be considered. There are two routes to settlement on the basis of family life as a partner, provided by Appendix FM viz 5-year route and a 10-year route. The 5-year route as a partner will be appropriate for those who meet all the suitability and eligibility requirements of the Immigration Rules at every stage. 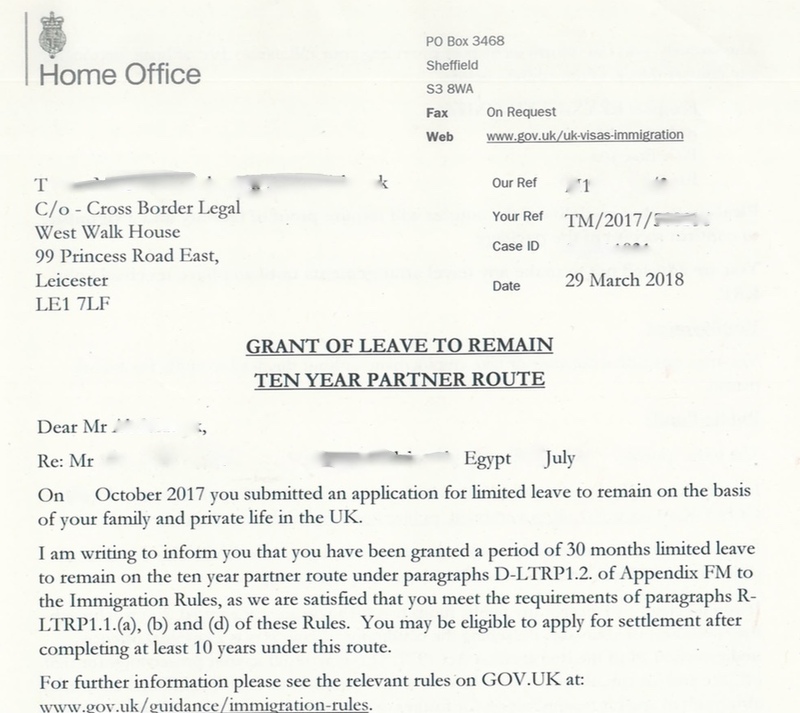 The 10-year route as a partner applies in respect of applications for leave to remain as a partner who meets all the suitability requirements, but only certain eligibility requirements. What is a two-stage approach provided by the guidance? First, the decision maker must consider whether the applicant meets the requirements of the Immigration Rules, without consideration of exceptional circumstances under paragraph GEN.3.2. of Appendix FM, and if they do, leave under the relevant Rules should be granted. In a case when the applicant fails to meet the requirements under the 5-year partner route, the application will be considered for leave to remain under the 10-year partner and private life routes as appropriate. So second, if an applicant for entry clearance or leave to remain as a partner under Appendix FM does not meet the relevant requirements of the Immigration Rules, the decision maker must move on to consider, under paragraph GEN.3.2. 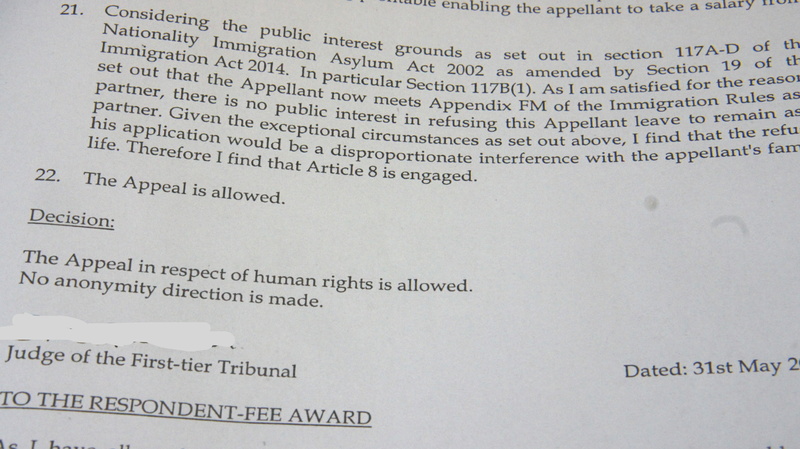 of Appendix FM, whether, in the light of all the information and evidence provided by the applicant, there are exceptional circumstances, which would render refusal a breach of Human Rights (ECHR Article 8) because it would result in unjustifiably harsh consequences for the applicant, their partner, a relevant child or another family member, whose Article 8 rights would be affected, as is evident from the information provided by the applicant. If there are such exceptional circumstances, entry clearance or leave to remain should be granted (on a 10-year route to settlement). An applicant in the UK may apply for the 5-year partner route on form FLR(M). If they fail to meet certain of the eligibility requirements, their application under the 5-year route will be refused and consideration is given to whether they qualify under the 10-year partner or private life routes. When the applicant knows that they cannot meet certain of the eligibility requirements of the 5-year partner route they can choose to apply directly for the 10-year partner or private life routes using form FLR(FP). 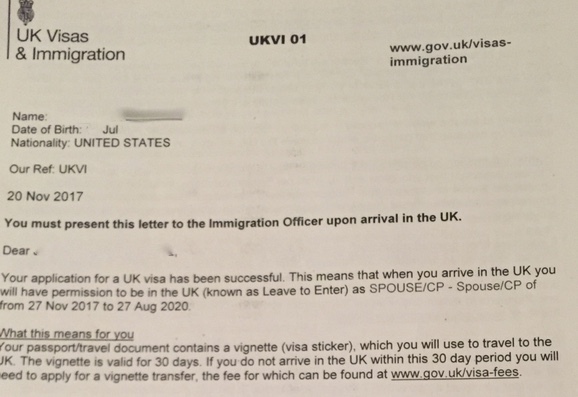 However, caution: this application requires more than just completing the somewhat obscure form, as carefully written legal representations from a UK Immigration lawyer, in the form of a cover letter, can be the difference between getting the visa or enduring a stressful and costly time fighting an appeal when refused. The Bottom Line; while everyone has a right to Family and Private Life, this is a qualified Right that must be exercised in balance with the Public Right and Policy. You thus need to make sure the balance tips in your favour with proper legal arguments and evidence. What are the requirements as a partner under the 5-year route UK Visa? the applicant must have made a valid application for entry clearance as a partner. the applicant must have made a valid application for limited or indefinite leave to remain as a partner. What are the suitability and eligibility requirements? Poor Immigration History: Suitability requirements generally refer to your immigration status, therefore if you have ever been subject to a deportation order, breached your previous visa conditions, or overstayed your visa then you probably will not meet the suitability requirement unless certain conditions apply. Deception: if you have not provided relevant documentation when requested, have used false documentation even without your knowledge, or have not attended an interview without a reasonable explanation, again you may fail to meet the suitability requirement. Criminal Record: Moreover, suitability requirements concern also the public good, so if you have been convicted of any criminal offence for which you have been sentenced, you may fail during your application process. It is important to remember that every case is different and there may be some relief for you, so please contact your solicitor to find out more about your circumstances. Age and Prohibited Degree: Continuing the argument, Appendix FM also contains relationship requirements, therefore the applicant’s partner must be aged 18 or over and they must not be within the prohibited degree of relationship. Genuine and Subsisting Relationship: Additionally, you must prove that you have met in person and that your relationship is genuine and subsisting. No – A marriage certificate isn’t sufficient! This is something that seems very simple, yet if you are questioned could turn out to be the most difficult thing to prove, especially if your relationship has experienced some challenging moments in the past, if there is a large age difference, or there has been a prolonged period where you were not living together. 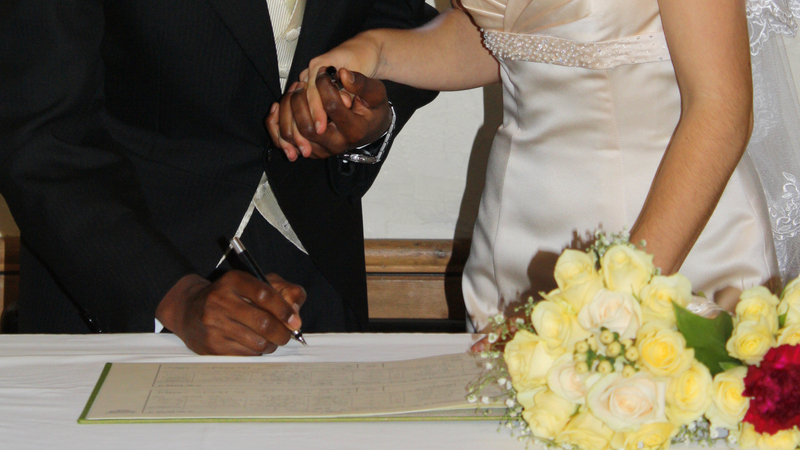 The validity of Marriage/Partnership: It is important to ensure that your marriage or civil partnership is valid in the country where the marriage took place. There is a possibility, for example, that when you got married your marriage may not have been valid as per the immigration law e.g. a Nikka Religious marriage is not valid in the UK. so it is always better to check with your UK Immigration Solicitor before making your application. Dissolution of Previous Marriage: According to the relationship requirements, stated in Appendix FM, any previous relationship of the applicant or their partner must have broken down permanently. Likewise, any previous marriage of either party must be validly terminated, in the eyes of the law, prior to getting married the next time. Otherwise, your marriage may be recognized as void. Intend to Live together: Furthermore, during the application process, you will be also required to prove that you intend to live together permanently in the UK and that you have adequate accommodation for you and your partner. Thus you can not apply for the visa to settle here if one party to the marriage then lives and works abroad. NHS Debt: failing to pay an NHS bill for medical treatment already received is a general ground for refusal – this is regardless of whether you were notified of such a bill at the time or not; before you apply for a visa check that no bill has been raised for any previous treatment, especially if you were here on a tourist visa or previously did not have valid leave. Income Threshold: Another and also extremely important requirement is that you have a gross annual income of at least £18,600. This remains one of the biggest obstacles for the spouse, as the rules are very strictly applied with no third party sponsorship normally allowed. But do not panic if you don’t earn that much, you still may be granted a visa under the 10-year route, as some exceptional circumstances may apply in your case; it is always worth checking with your UK Immigration solicitor. What are the requirements as a partner under the 10 -year route UK Visa? 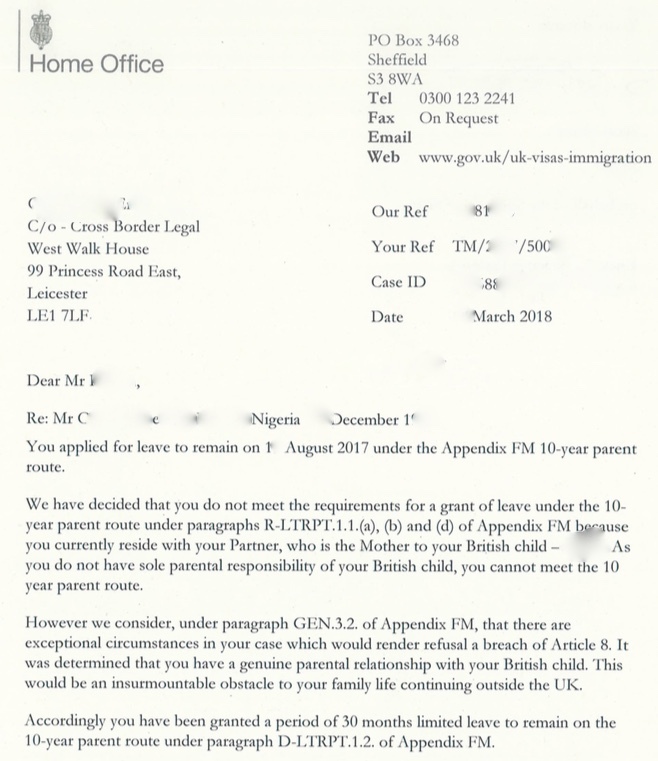 (b) the applicant has a genuine and subsisting relationship with a partner who is in the UK and is a British Citizen, settled in the UK or in the UK with refugee leave or humanitarian protection, and there are insurmountable obstacles to family life with that partner continuing outside the UK. 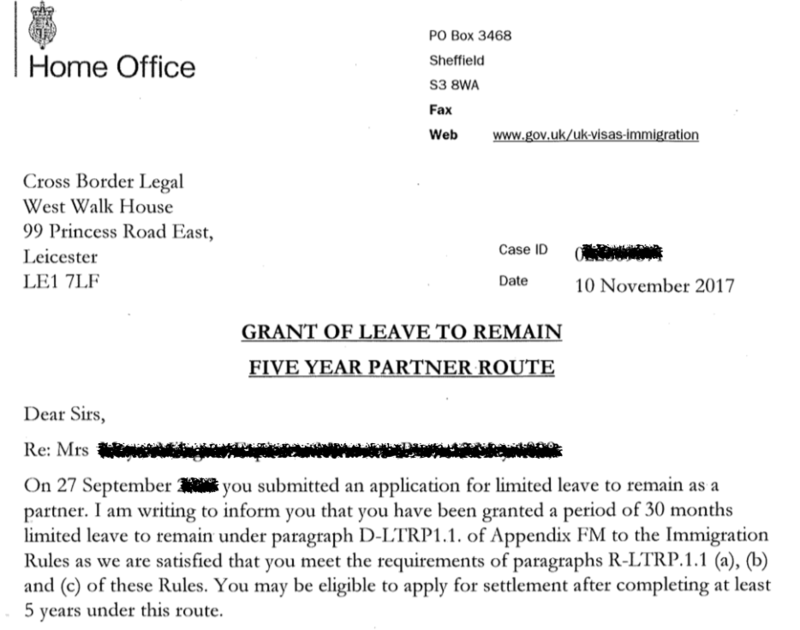 In other words, if you don’t meet the requirements for the 5-year route but you are in a relationship (either married or living together for the last 2 years in a relationship akin to marriage) with a British national, someone with settled status in the UK, or Refugee/Humanitarian protection, you may have a chance under this clause, IF you can Proof there are “insurmountable obstacles” to you and your partner’s relocation abroad. EX.2. For the purposes of paragraph EX.1. (b) “insurmountable obstacles” means the very significant difficulties which would be faced by the applicant or their partner in continuing their family life together outside the UK and which could not be overcome or would entail very serious hardship for the applicant or their partner. 43. It appears that the European court intends the words “insurmountable obstacles” to be understood in a practical and realistic sense, rather than as referring solely to obstacles which make it literally impossible for the family to live together in the country of origin of the non-national concerned. 45. By virtue of paragraph EX.1(b), “insurmountable obstacles” are treated as a requirement for the grant of leave under the Rules in cases to which that paragraph applies. Accordingly, interpreting the expression in the same sense as in the Strasbourg case law, leave to remain would not normally be granted in cases where an applicant for leave to remain under the partner route was in the UK in breach of immigration laws, unless the applicant or their partner would face very serious difficulties in continuing their family life together outside the UK, which could not be overcome or would entail very serious hardship. Generally, this clause will succeed if you have a spouse who is ill, or looking after someone who is ill, or perhaps the applicant’s country of origin is one in which circumstances are so bad that they can’t reasonably be expected to relocate there due to war, or religious and cultural differences that could put them at risk. Either way, the Home Office are normally very reluctant to generously interpret this law and you may have to fight it out in court. One of the cases the firm dealt with involved a person married to a disabled British citizen, whose spinal injury is so bad that doctors recommended that he should not fly. The applicant’s spouse has been his de-factor his carer for the last 11 years. The Home Office refused to accept this as insurmountable obstacles, arguing that the husband should be put into care while his wife, who had no valid visa then, travelled to Asia and applied for a visa. Caution: one should note that the above sections EX.1 does not apply in certain circumstances e.g. it does not apply while the applicant is here on a visitor/tourist visa. This route also only applies to applications made within the UK. It is, therefore, prudent to have your Your Immigration Solicitor carefully consider your application before choosing this option, as putting in an application that is doomed to fail both at the Home Office and Appeal stage may be ill-advised and expensive, especially if you have the option of leaving and applying for a visa (Entry Clearance) from abroad. According to the Home Office guide, exceptional circumstances have quite a narrow definition.i.e. 9.2. What are exceptional circumstances? The best interests of any child in the UK affected by the decision. and how strong their social, cultural and family ties are with the UK. Overall, one needs to demonstrate that there is something completely exceptional about their case for the Home Office to look at the alternative source of funding, and sadly in practice the Home Office seem to dismiss such cases without detailed consideration of all relevant facts, with the simple statement that there are no exceptional circumstances which could render refusal of entry clearance a breach of Article 8 of the European Convention on Human Rights. As one would expect a lot of these cases are ending up in court, as the courts are more inclined to consider the relevant circumstances after the Home Office has failed to do so. Example; if a person came to the UK on a visitor visa, intending to wait for their spouse to work for at least 6 months in order to return to their Home country to make an entry clearance visa, but sadly their spouse was then hospitalised with cancer and no longer able to work. This would mean that if the person leaves she will not meet the income threshold under the 5 year route and there would be no guarantees under the 10 year route on GEN.3.1. (1) Immigration Rules Appendix FM. She is the only person caring for her husband, who now cannot travel as he undergoes chemotherapy. In such a case one would not be able to rely on Sections Ex.1 ( UK Partner 10 Year Route) as they are currently here on a visitor visa. so what can she do? 45. By virtue of paragraph EX.1(b), “insurmountable obstacles” are treated as a requirement for the grant of leave under the Rules in cases to which that paragraph applies. Accordingly, interpreting the expression in the same sense as in the Strasbourg case law, leave to remain would not normally be granted in cases where an applicant for leave to remain under the partner route was in the UK in breach of immigration laws, unless the applicant or their partner would face very serious difficulties in continuing their family life together outside the UK, which could not be overcome or would entail very serious hardship. Even in a case where such difficulties do not exist, however, leave to remain can nevertheless be granted outside the Rules in “exceptional circumstances”, in accordance with the Instructions: that is to say, in “circumstances in which refusal would result in unjustifiably harsh consequences for the individual such that refusal of the application would not be proportionate”. Is that situation compatible with article 8? Put simply, the Immigration Rules are the starting point and even if you don’t meet the normal rules the Home Office are still obliged to carry out the balancing exercise under human rights, to ensure that their decision is not incompatible with the Article 8 ECHR ( Right to Private and Family Life). Thus in the example case given above, although the couple did not meet the normal rules, the visa was issued outside the rules (granted 30 months leave with permanent residence after 120 months). Whereas the Home Office are usually reluctant at best to look and grant visas outside the rules, the courts will ultimately consider this issue, as all such applications can only be challenged in front of an immigration tribunal on one ground i.e. that the decision is disproportionately interfering with the applicant and his/her spouse’s Right to Family and Private life, as protected under Section 6 of the Human Rights Act 1998. Thus the appeal may ultimately fail under the rules but be allowed under human rights. There are various ways to qualify for a visa so that you can be with your loved ones, and it helps to have a good UK Immigration lawyer in your corner to advise on the best options for you, as not all cases are the same. Of course, the requirements outlined above are brief and excessively simplified, but they do highlight certain common problems. The list of suitability and eligibility requirements is extremely long and the cost of application is very high, so please contact your solicitor immediately to make sure everything is done correctly the first time you apply, to avoid unnecessary costs and stress. IF YOU HAVE BEEN AFFECTED BY ANY UK IMMIGRATION MATTER, PLEASE CONTACT SOLICITOR TITO, A UK IMMIGRATION AND HUMAN RIGHTS SOLICITOR, FOR A FREE INITIAL CONSULTATION ABOUT YOUR LEGAL OPTIONS. CALL 07544 669131/01163800744 OR ON SKYPE: TITO.MBARITI. Me & my wife Angel Selmani been married since Nov 2014 after a relationship that grown up from 2010,I been refused family visit then we decided to apply for settlement visa and this was been refused as well and breached our humans rights for married life as man and wife in the UK, we decided to appeal because the decision was so abusive and insulting to us, to be accused of sham marriage without any proof against you is the worst abuse ever.we got in touch with Mr Tito Mbariti and he lodged our appeal on time and been patient with us and shared our worries and waiting, it took over a year to get hearing date and we collected all the evidences and proof we had and Tito MADE A STRONG CASE that was only to WIN the hearing because Mr MBARITI has one path and its SUCCESS . WE WON THE APPEAL AND MY VISA WAS GRANTED.I Strongly recommend him for everyone who have immigration issues because he is one of the best lawyers in the UK. THANK YOU SO MUCH Mr Tito for all the help, much Blessings for you and your family. October 26, 2016 Algiers. Algeria. Thanks for all your help. Great knowledge. You have a heart of gold keep up the good work. Quick response to my queries. I would recommend his service to friends . Tito helped me a lot when I needed to change my immigration permission from under EU law to UK point based system. Not only did I find Tito knowledgeable about the law, but more importantly, he was accessible via phone and email, and very compassionate and understanding. I would recommend Tito's services for assistance re: UK/EU immigration policies.